It’s a simple fact. Without water, we would not be able to live. Water is life. We are thrilled to announce that for Northern Spark 2017 (June 10), Andrea Carlson is designing a special “train wrap” for a Metro Transit light-rail car, which will be running along the Green Line beginning in March. Carlson has taken as her theme a water panther on one side with the Dakota words Mni Wiconi (water is life). On the other side of the train is a thunderbird with the words Nibi gaa-bimaaji’iwemagak (water gives life) in Ojibwe. In an urban context, paved streets are like tributaries feeding rain and runoff into nearby rivers of the watershed. Carlson’s design is both a memorial to the power of water and a plea to honor it in all our uses, especially as human activities lead to increased risk of droughts, severe weather events, melting ice caps, sea level rise, and ocean acidification as just some of the water-related effects of climate change. Special thanks to Metro Transit who helped support Carlson’s work and will be providing free passes the night of Northern Spark. Look for this train car coming soon to a Green Line station near you. We will be announcing the full artist line up for Northern Spark when the train wrap launches toward the end of the month. Mizna cover art by Monira Al Qadiri. Detail from “Alien Technology,” 2014. After a brief new year hiatus, AAA: Anthropocene Awareness Association is back! Join us at these upcoming programs to sharpen your knowledge of the nuanced effects of climate change across the globe. This month, long-time Northern Lights.mn partner Mizna will release the winter edition of their critically acclaimed journal of writing and visual art by Arabs and Arab Americans. The focus of this issue is the environment — a topic less commonly associated with the Arab world. This is a subject Mizna began exploring through their projection project Confluent for Northern Spark in 2014. 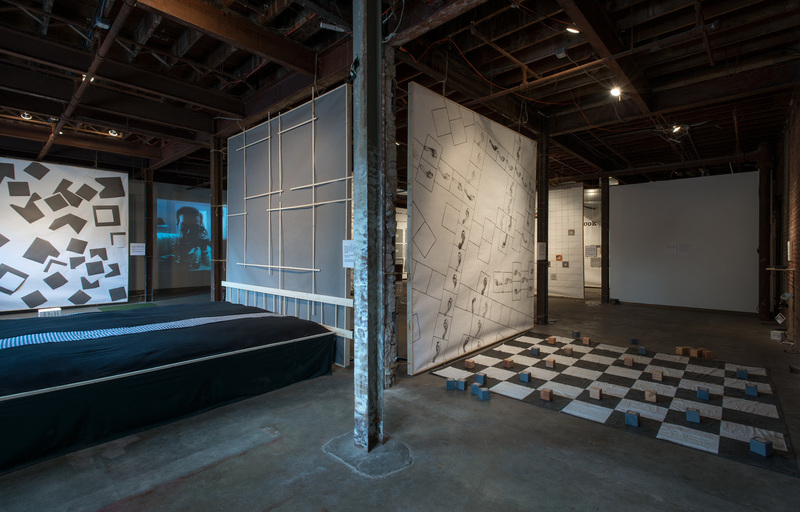 As Executive Director Lana Barkawi and Program Manager Moheb Soliman wrote that year: “Confluent, seeks to immerse Northern Spark audiences in communal, environmental, and other commonalities—confluences—between here and there [Iraq].” Read the full text here. 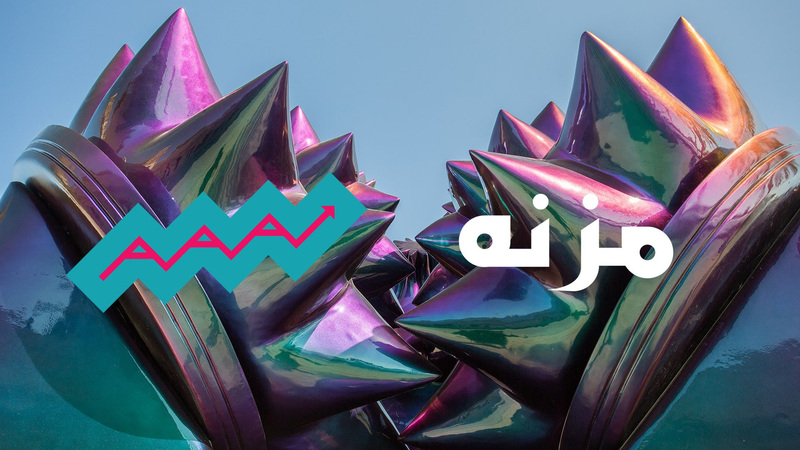 Fast forward three years and their full volume of visual and literary work takes on the theme of the nature and the environment in the Arab world and it’s intersections in Arab America. At this joint journal release and AAA, dig into these issues with guest editor Gary Paul Nabhan, the internationally-celebrated nature writer, agrarian activist, and ethnobiologist, and local contributors Tami Mohamad Brown and Dawud Mulla, Moheb Soliman, and Canadian Arab writer and thinker Joe Kadi. Video work by Monira Al Qadiri will also be on display. Thursday, March 23, 7 pm: Discussion on the social and political repercussions of climate instability with Shiloh Fetzek from the Center for Climate and Security. We are pleased to announce that MINN_LAB has been selected as the winner of the 2017 Creative City Challenge with their piece Orbacles. 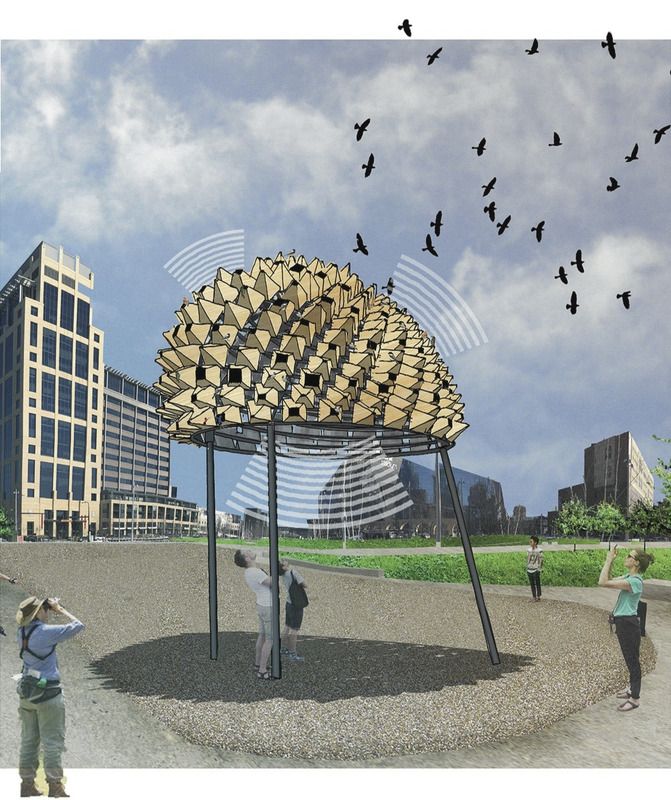 Orbacles is a triad of spherical structural environments that connect to tell a story of climate change by focusing on birds of Minnesota and the language of our senses. The orbs communicate the recorded and anticipated shift of birds from 2017-2080 due to species loss and species migration related to climate effects, and the interconnected transformation of terrestrial and aquatic environments. 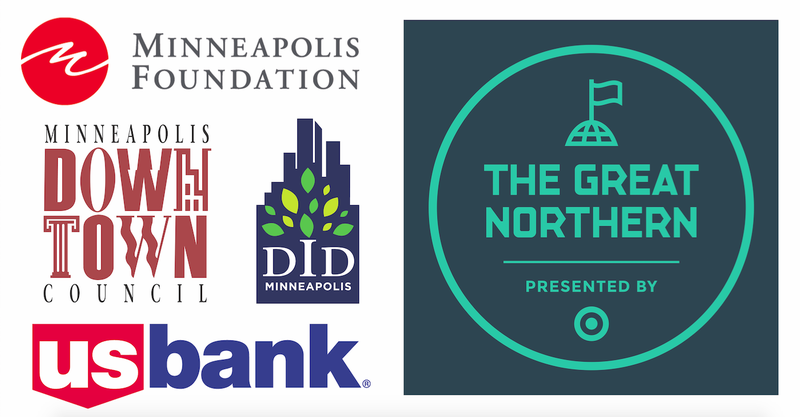 Orbacles will be installed on The Commons across from U.S. Bank Stadium and will be unveiled at Northern Spark on June 10, 2017. It will remain up through the end of July. You may remember MINN_LAB’s work from their past Northern Spark projects: Weather Report in 2016, CityScope in 2015, and POSTography in 2014. Northern Lights.mn is pleased to announce the five Art(ists) On the Verge (AOV9)fellows: Maxwell Hoaglund, Meena Mangalvedhekar, Areca Roe, Stephanie Lynn Rogers, and Ziyang Wu. 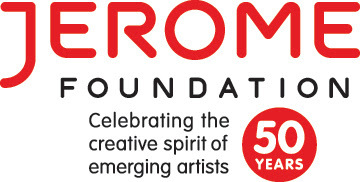 These five artists were selected from pool of applicants by a jury of artists and arts professionals that included Christopher Atkins, Curator of Exhibitions & Public Programs, Minnesota Museum of American Art; Steve Dietz, Co-Director, AOV; Kimberly Loken, Assistant Professor of Game Design, UW-Stout School of Art and Design; Tia-Simone Gardner, Artist; Piotr Szyhalski, Co-Director, AOV; and Xavier Tavera Castro, Photographer. Art(ists) On the Verge is an annual, intensive, mentor-based fellowship program for 5 Minnesota-based, emerging artists working experimentally at the intersection of art, technology, and digital culture with a focus on network-based practices that are interactive and/or participatory. The AOV9 fellows will have their work featured in a group exhibition in the spring of 2018. Launch Party where? Thresher Square! Northern Spark Launch Party, Northern Spark 2016. Photo: Dusty Hoskovec. The Thresher Square Building, a prime example of Minneapolis innovation and style, will host the 2017 Northern Spark Launch Party. It is one of numerous local buildings designed by architect Frederick Kees, who is also known for Minneapolis City Hall, First Baptist Church, and the Hennepin Center for the Arts. The Launch Party is a celebration for everyone who makes Northern Spark’s innovative art possible – all you have to do is buy a ticket! Thresher Square is just steps from The Commons, so at 8:58 p.m. as the sun sets and the festival begins, you’ll be able to head directly from the kick-off to the opening celebrations. Northern Lights.mn braved the late-January chill to celebrate the winter season with public art projects at the B-Lectric festival and along Nicollet Mall. B-Lectric, a celebration of art and light with partner Barbette, was a festive evening along Lake and Irving in Uptown on January 29th. Guests stayed warm by sipping warm beverages around barrel fires while viewing Northern Lights’ artist projections on urban surfaces and three custom-built ice walls. Colorful whimsical projections by Marina Zurkow and Miko Simmons were juxtaposed with Joshua McGarvey’s sensory Ice Fall – Feel the Change and Graci Horne’s curated collections of images from the ongoing resistance to pipeline development at Standing Rock, ND. Lively contributions from Art Shanty Projects and Inflammati Fire Circus rounded out a fun-evening of outdoor celebration. The same weekend, Northern Lights.mn kicked off its collaboration with The Great Northern festival, debuting Piotr Szyhalski’s sweeping seven block long installation of Living Banners which transformed Nicollet Mall from a construction zone into a monument of poetic phrases. 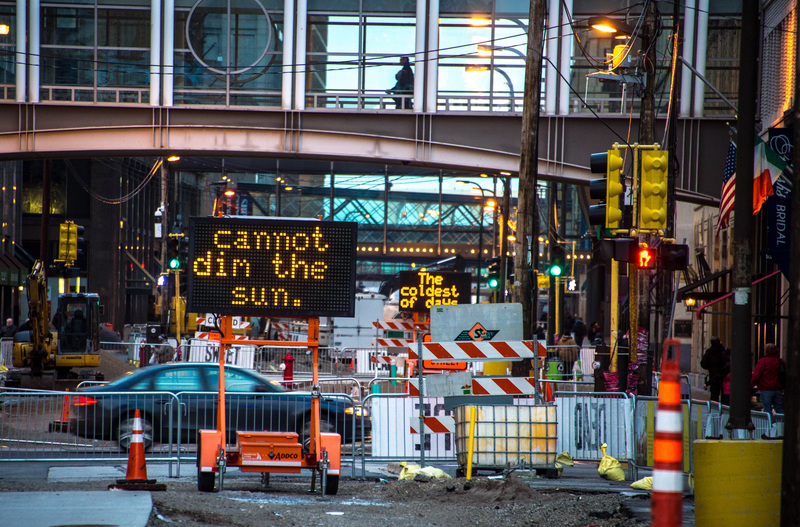 Its accompanying project, Words for Winter, caused passersby to do a double-take at 4 road construction signs scrolling with poetry from 17 local writers in homage to winter. Both reverent and playful, this project caused quite a buzz with downtown dwellers snapping photos and sharing readily on social media. Words for Winter poets included: Brave Crow, Heid E. Erdrich, Sarah Fox, Hassan Hussein, Sarah Myers, Miss Brit, Moheb Soliman, Lara Mimosa Montes, LianiRey, Lula Saleh, Sagirah Shahid, Sun Yung Shin, Mary Austin Speaker, Elle Thoni, Joel Turnipseed, Elisabeth Workman, and Ahmed Ismail Yusuf. The week of public art projects on Nicollet Mall opened on January 30th with a sound and light show by Tesla Works, to a soundtrack by the Minnesota Orchestra. Thank you to all of our artists, partners, sponsors and attendees for making both these inaugural winter events a success! 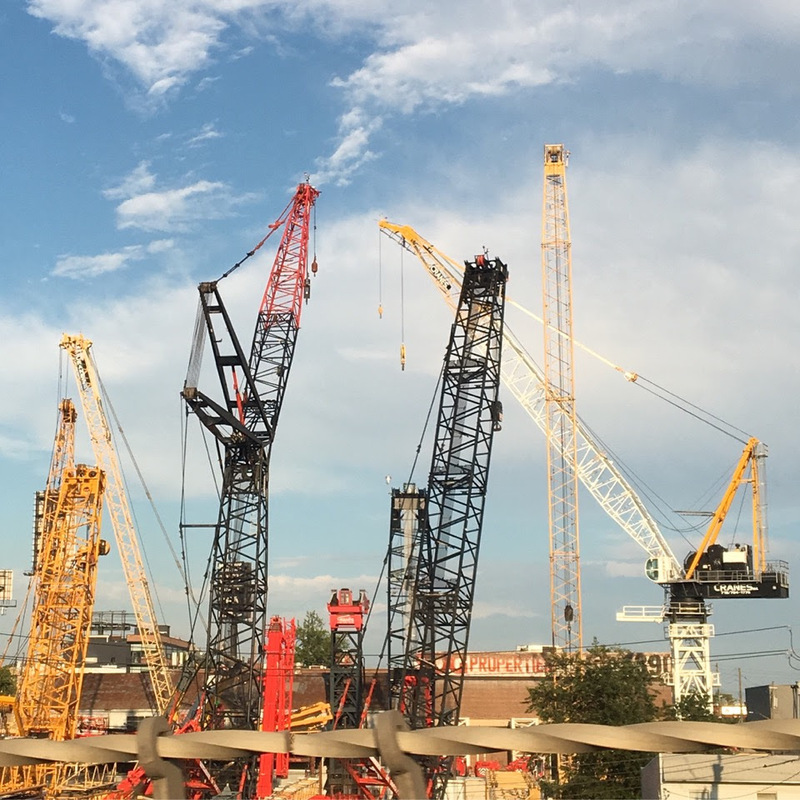 These projects could not have happened without the generous support of the Minneapolis Foundation, Minneapolis Downtown Council, DID Minneapolis and Barbette. 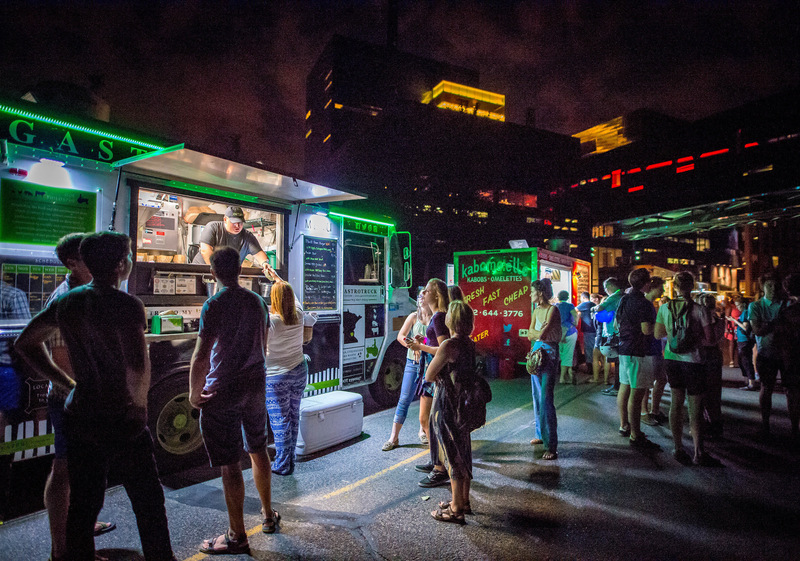 Food Trucks at Northern Spark 2016. Photo: Max Haynes. On June 10th, Northern Spark 2017 expects to draw 50,000 people to 7 nodes of activity along the Metro Transit light-rail Green Line. We’re seeking food trucks and local restaurants who would like to take this opportunity to showcase their menus and gain word-of-mouth buzz in addition to strong sales. Applications are now open, and more information can be found on our website. Submissions are due February 28, 2017. Notifications and contracts will be sent to accepted vendors before the end of March. 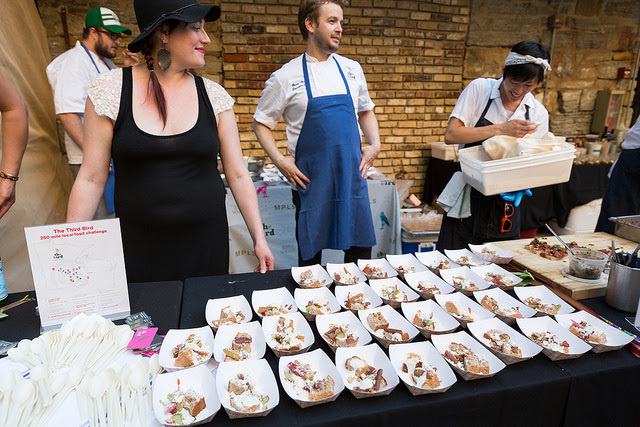 Questions should be directed to foodtrucks@northern.lights.mn. New to Food Vending in St. Paul? Come to the Food Vendor Workshop to learn more about permit processes in St. Paul and Zero Waste / Reduced Waste initiatives. February 13, 2017, 5:30-7:00pm, Griggs Midway Building, Room S330, 1821 University Avenue West, St. Paul, MN 55104. Please RSVP to ensure there are enough materials for everyone.